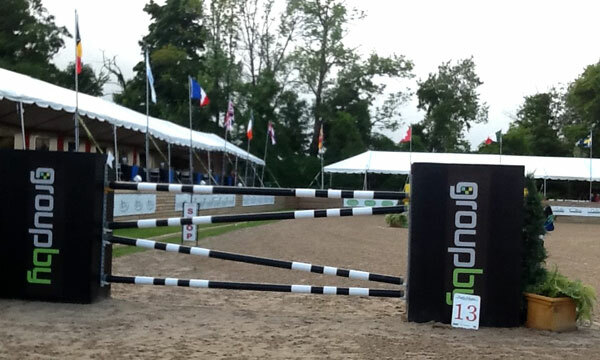 We are back at Angelstone for the $70,200 Groupby CSI 2* 1.45-1.50m grand prix. It will be under the lights tonight, and there is a good crowd on hand. There has been some serious rain, but the ring is in great shape and there is no rain in the forecast. There are 24 entries and all will compete. The course tonight will consist of 13 numbered obstacles and 16 efforts. The speed will be 375mm and the original TA was set at 71 seconds and after three rounds it was changed up to 76 seconds. 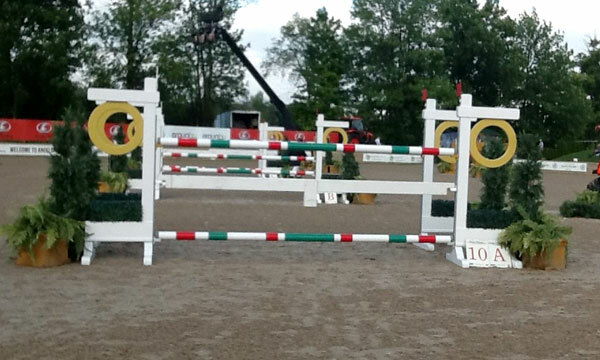 The course will show one double combination and one triple. 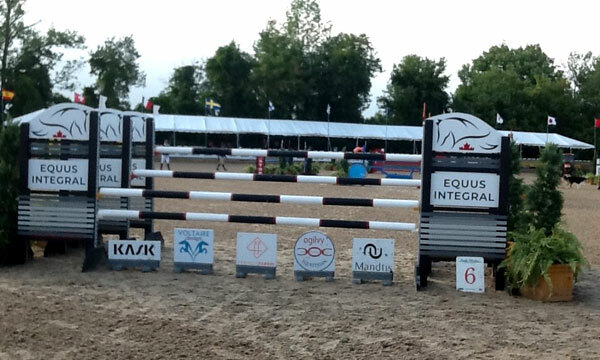 There will be a triple bar, a plank vertical, short pole vertical and a narrow oxer. We will not see a wall or the open water. There a few major difficulties in constructing a course under temporary lighting and I will discuss this at the end of the walk. 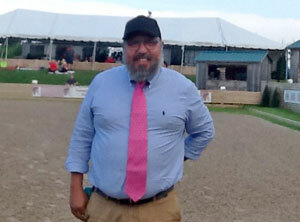 Our course designer for the week has been Manuel Esparza (MEX) and is no stranger to the GP ring at Angelstone and building under the lights. Manuel is a very close friend and we have spent many weeks working major jumping events over the years from the Olympics to Spruce Meadows. He told me tonight that this will be his 18th year at Spruce Meadows, which will surpass my 17 years. There are few course designers today that have the experience of working at varied venues and building for course designers that he is now their equal. The quality of his work has always been at a high level and I expect nothing less tonight. #1 oxer 1.35/1.40/1.40m or 4.3/4.6/1.6ft and will not be faulted tonight. 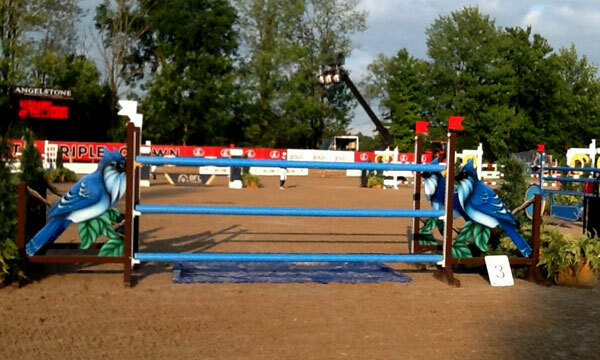 #2 vertical 1.45m or 4.9ft comes from #1 on the soft left rein and ended the evening for one rider. 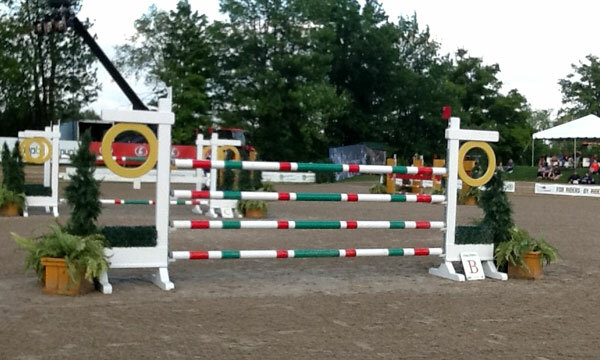 #3 Liverpool oxer 1.45/1.55m or 4.9/5.1ft was the bogey fence tonight with eight splashdowns. This oxer comes on the full turn on the continuing left rein. #4 vertical 1.47m or 4.10ft comes from #3 in a straight line with a distance of 27m or 88.6ft and was not damaged tonight. #5a vertical 1.45m or 4.9ft comes from #4 on the right rein with no given distance (six strides for everyone) and fell to the floor one time. 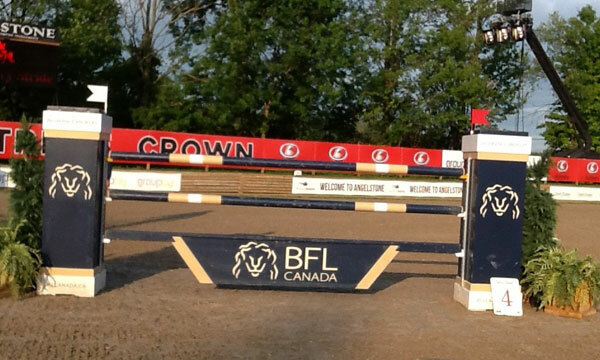 #5b oxer 1.45/1.50m or 4.9/5ft comes from #5a with a distance of 7.80m or 25.6ft and tumbled to the turf three times. 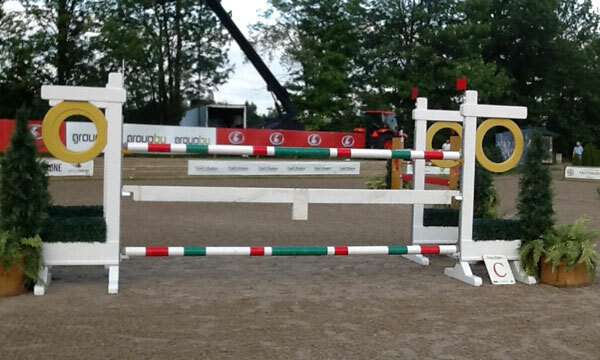 #6 triple bar 1.47/1.80m or 4.10/5.9ft comes on a long gallop on the right rein up the slope and created one refusal and one pole departing the back cups. #7 vertical (bike) 8ft poles 1.47m or 4.10ft comes in a straight line from #6 with a distance of 23m or 75.6ft and fell from grace four times. 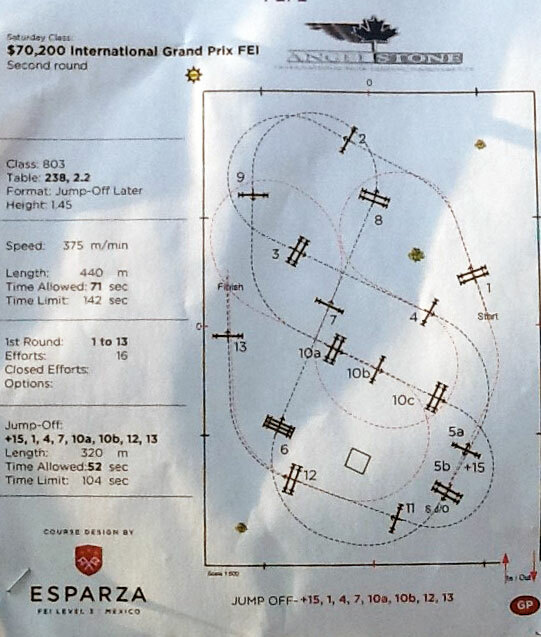 #8 oxer 1.45/1.55m or 4.9/5.1ft comes from #7 in a straight line with a distance of 21.50m or 70.6ft and this short five strides saw three refusals (one elimination) and one pole on the floor. #9 vertical 1.47m or 4.10ft comes on a long gallop on the left rein and never caused a problem on the course. 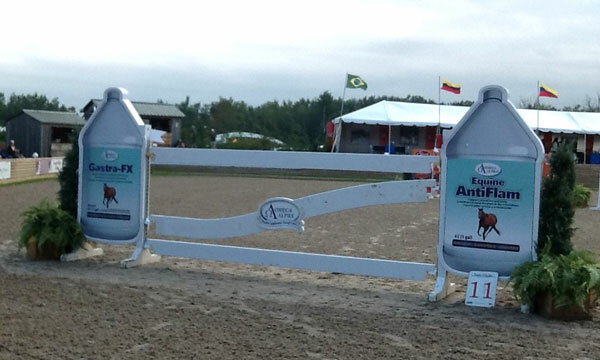 #10a oxer 1.45/1.50m or 4.9/5ft comes on the left bend with a distance of 35m or 114.9ft from #9 and never met mother earth. #10b vertical 1.47m or 4.10ft comes from #10a with a distance of 8.10m or 26.6ft and was removed from the yellow cups three times. #10c oxer 1.45/1.50m or 4.9/5ft comes from #10b with a distance of 11m or 36ft and never fell to the turf in the first round. 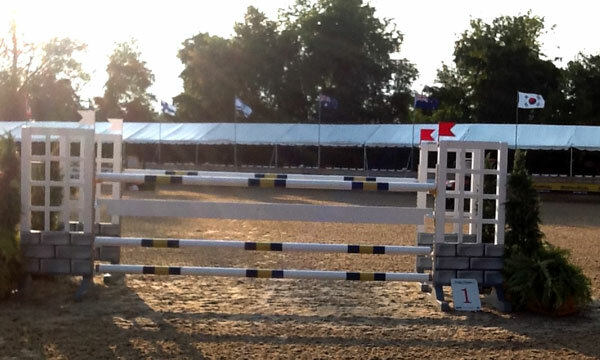 #11 plank vertical 1.47m or 4.10ft comes on the right rein away from the in-gate and did not receive any punishment tonight. 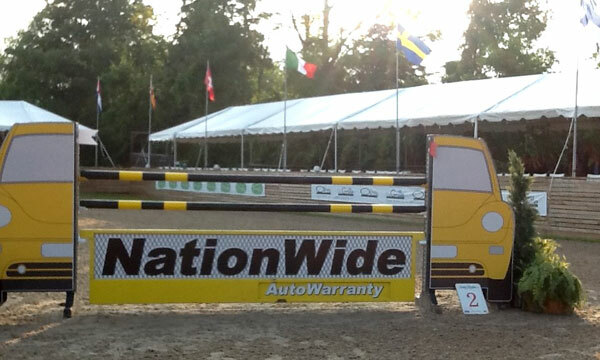 #12 narrow oxer 1.45/1.10m or 4.9/3.6ft comes from #12 in a straight line with a distance of 19.20m or 62.9ft and was injured one time. 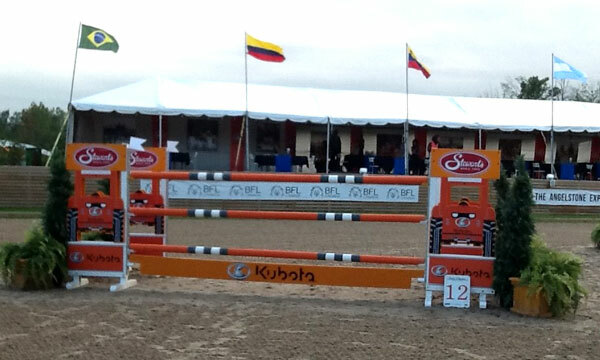 #13 vertical 1.47m or 4.10ft comes from #12 on the bending right rein with a distance of 31m or 101.6ft and did end the evening for one rider. 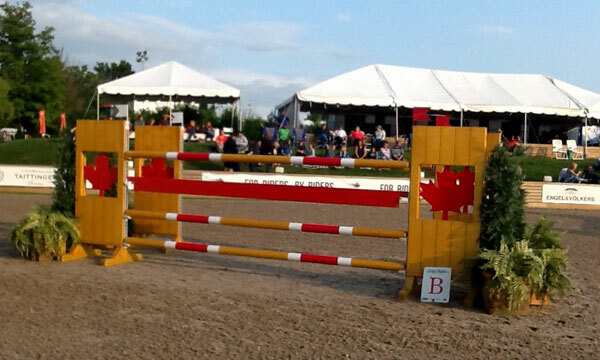 This was the last fence in the first round. The final results of the first round of the $70,200 Groupby Grand Prix will give us five clean rounds, one round with one time fault, eight rounds of four faults, one with five faults and four with eight faults. The rest will compete another day. There were no falls but there was one elimination due to refusals and there was one VW. 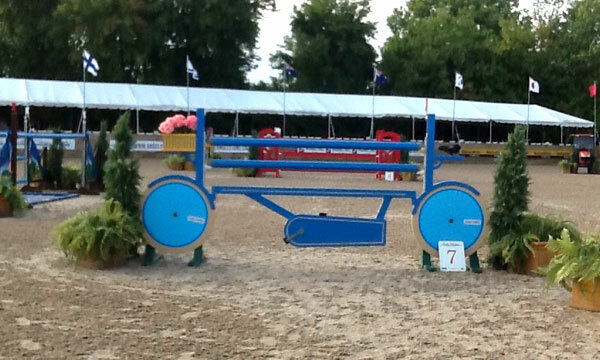 This was a very entertaining grand prix and a very entertaining course. Manuel Esparza did not disappoint. Last week just before I left to walk the course I was stung in the face by a carpenter bee and had a bad reaction and could not write this blog. My comments are my observations on this class. It was good to see that Angelstone had addressed to jump situation and the set of jumps used tonight were of very good outdoor quality. 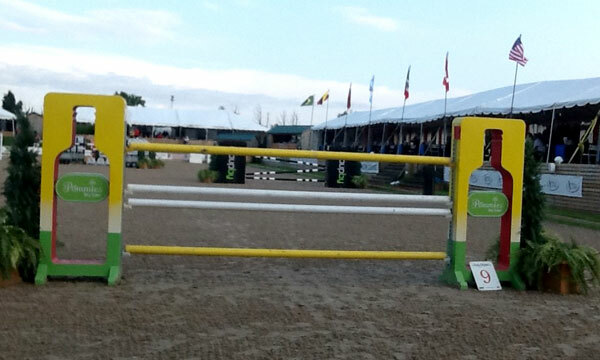 The course showed the 18mm yellow cups on every jump and was a huge improvement over the shaved cups of last year. Good jump material and the proper use of proper cups are what make for great competition. Angelstone should be complemented on these improvements. If our readers look at the photo of the course plan they will see that our CD did not build on the outside edges of the ring. The reason for this can be associated with the lighting used for the night classes at Angelstone. 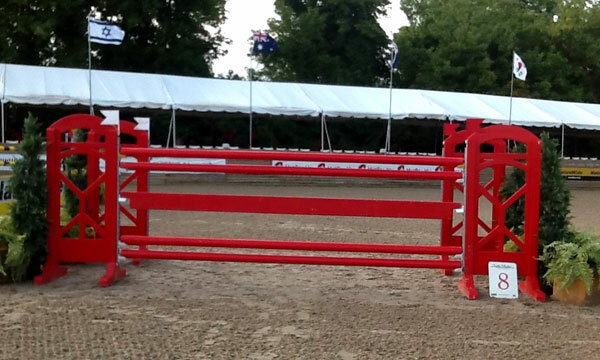 The lighting is a serious problem for jumping at night and can create dark areas in many areas of the ring. 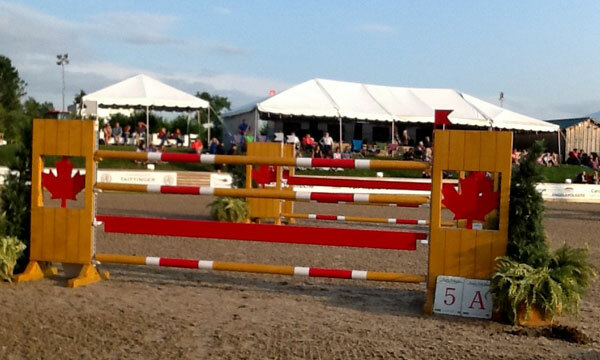 With only three light towers used there are areas of this ring that are not covered with enough light and the course designer must build accordingly. This is a situation that, given some time, Angelstone will deal with. These nighttime Saturday classes are entertaining and well attended by a lot of local regulars and they are fun to attend. I am sure that Angelstone will continue to improve all aspects of their tournaments to ensure a long life of horse sport in the area. Until next week I am Dave Ballard.